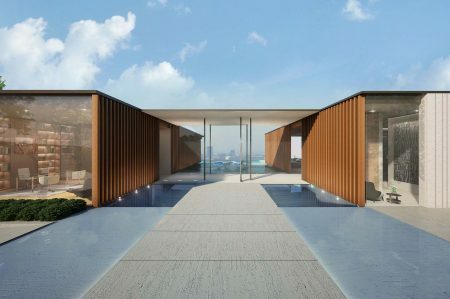 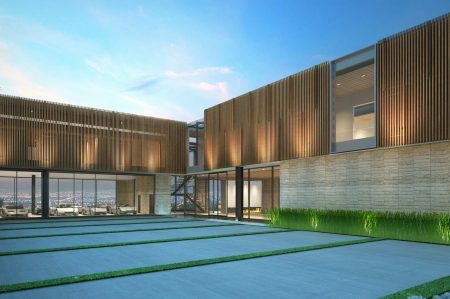 What if a home could be built to be environmentally resilient, wildfire resistant, and yet comfortable and open to the extraordinary ocean view site? 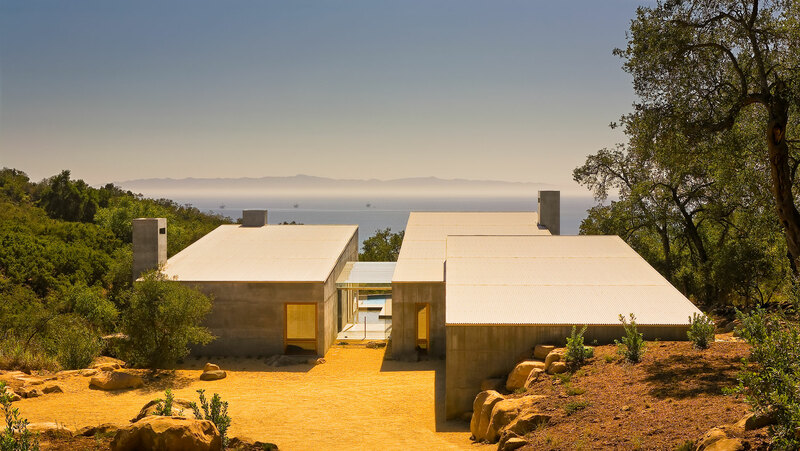 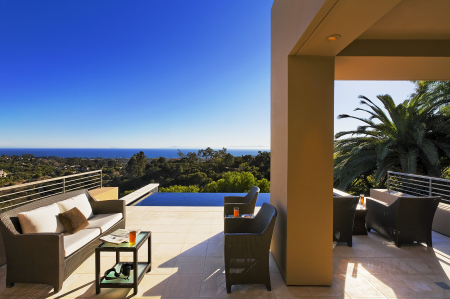 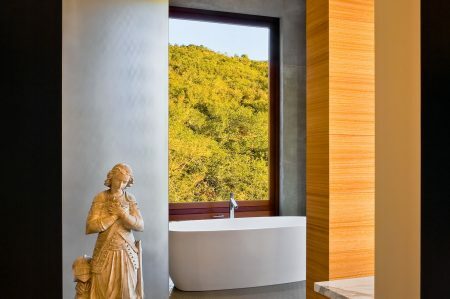 This residence on a 10-acre site is approached via a narrow, tree covered drive, ending at a small clearing with views of the Pacific Ocean and Channel Islands. 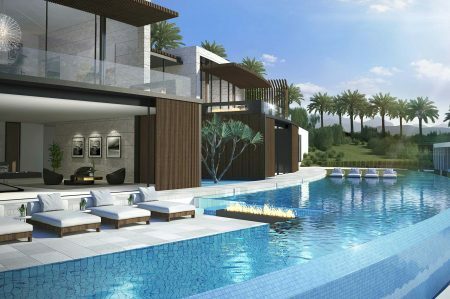 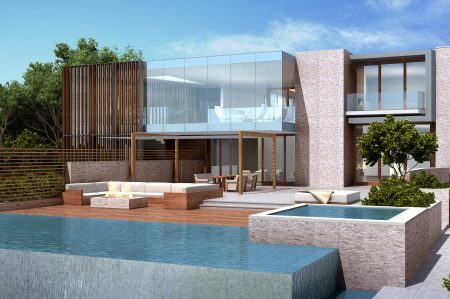 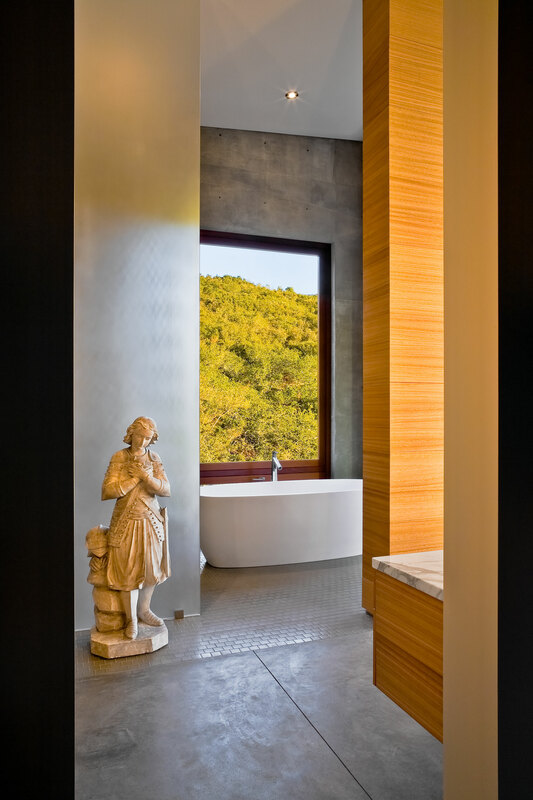 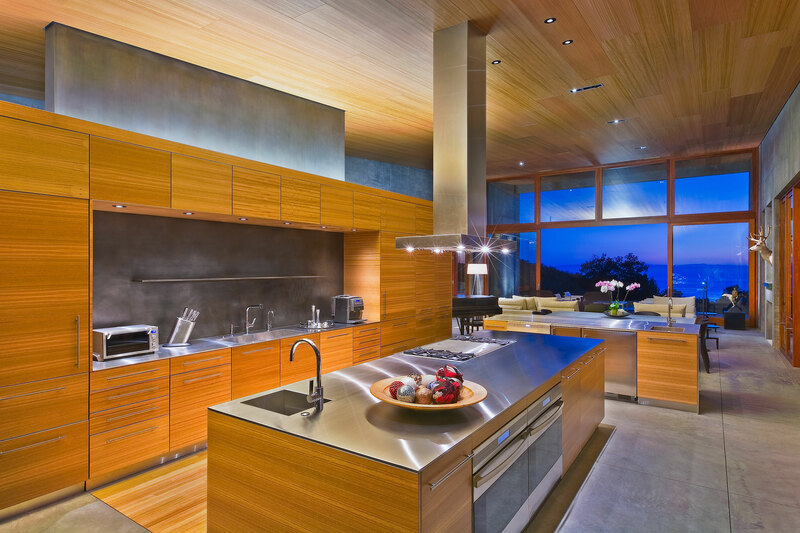 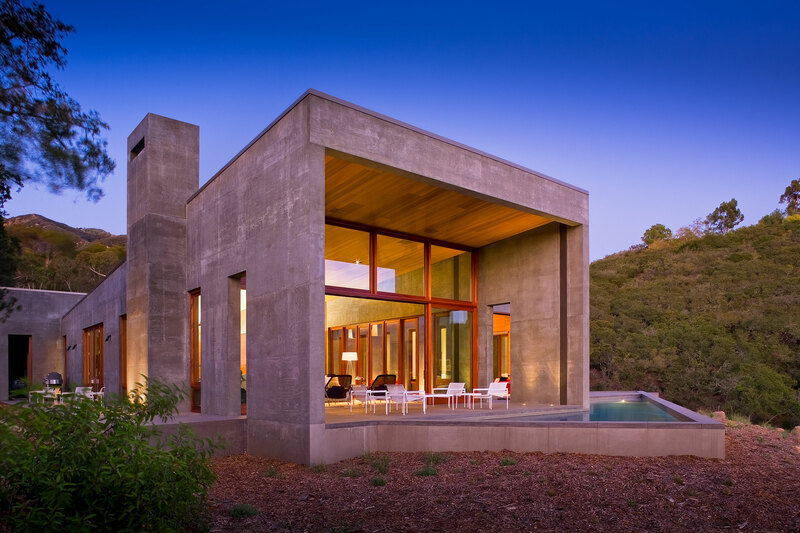 The residence is sited on axis with the canyon and views beyond. 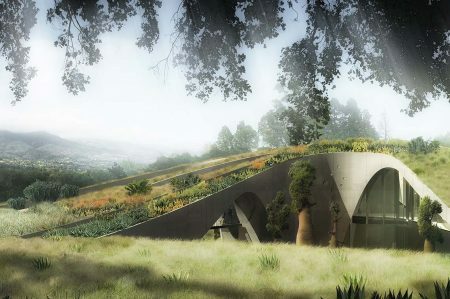 The building presents three one story, wedge shaped volumes; a carport /service volume to the north, a public living volume to the south west and a private sleeping volume to the south east. 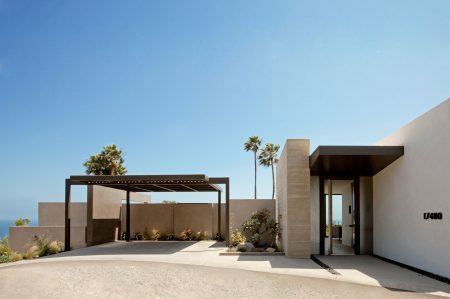 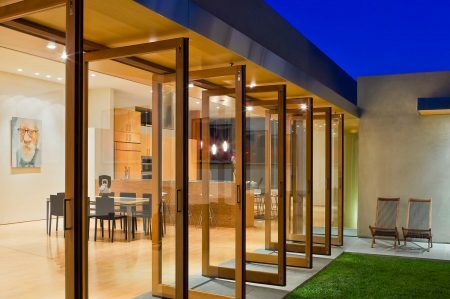 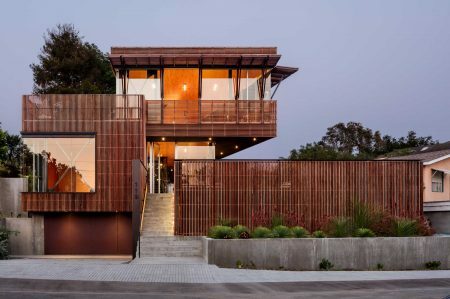 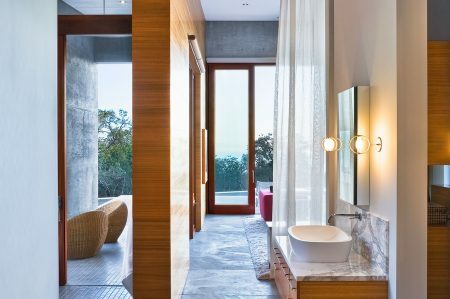 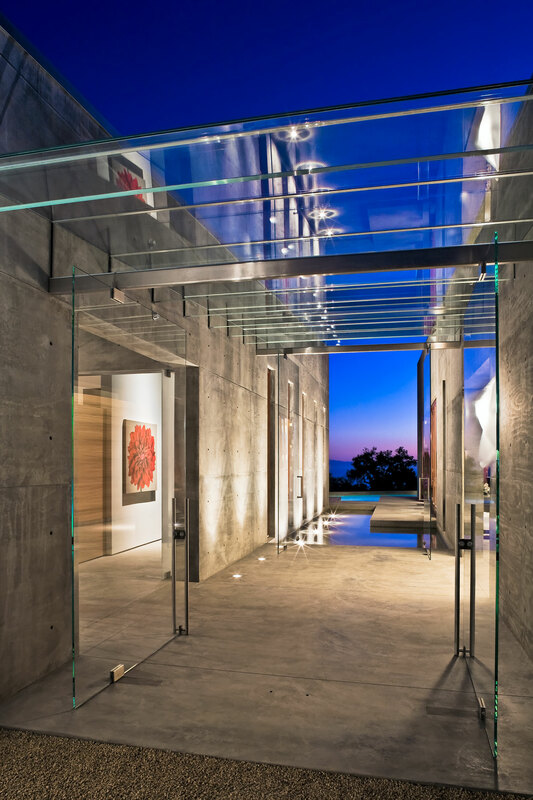 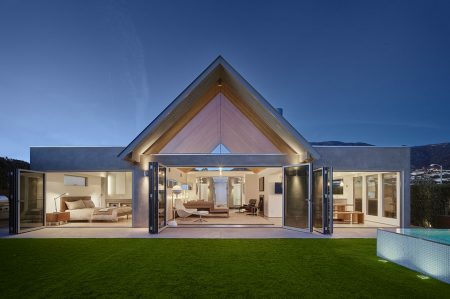 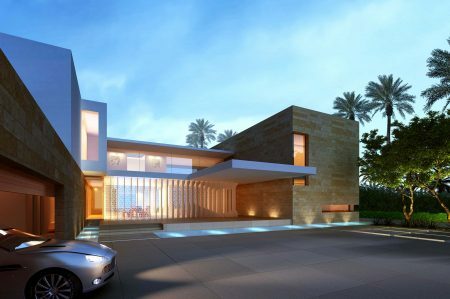 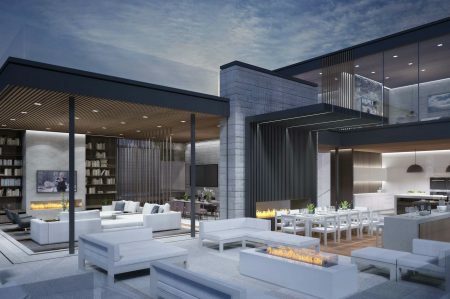 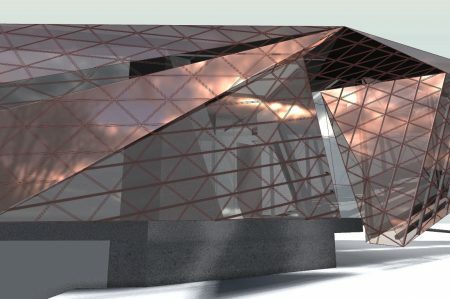 Constructed of laminated glass beams and roof panels, with glass doors, the entry space is conceptualized as a transparent exterior connection between the private and public wings of the house. 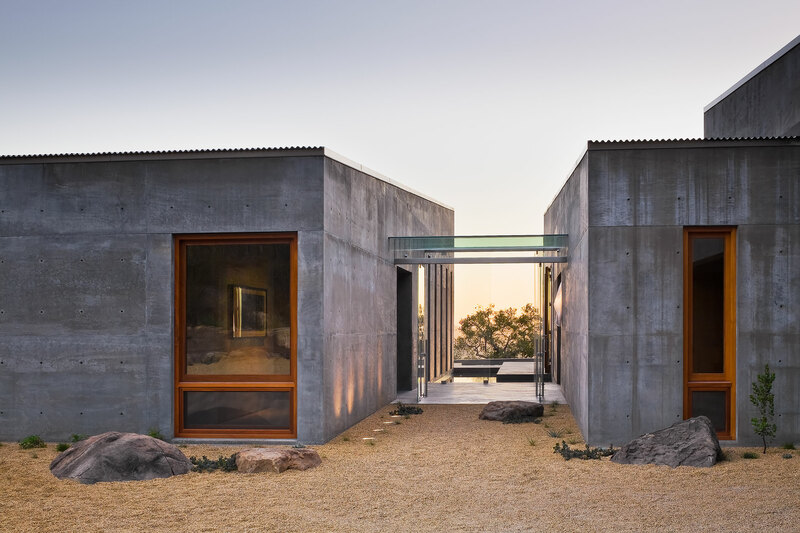 The exterior walls are constructed of 12” thick insulated cast-in-place concrete, and a metal roof helps to provide maximum fire resistance in this secluded canyon. 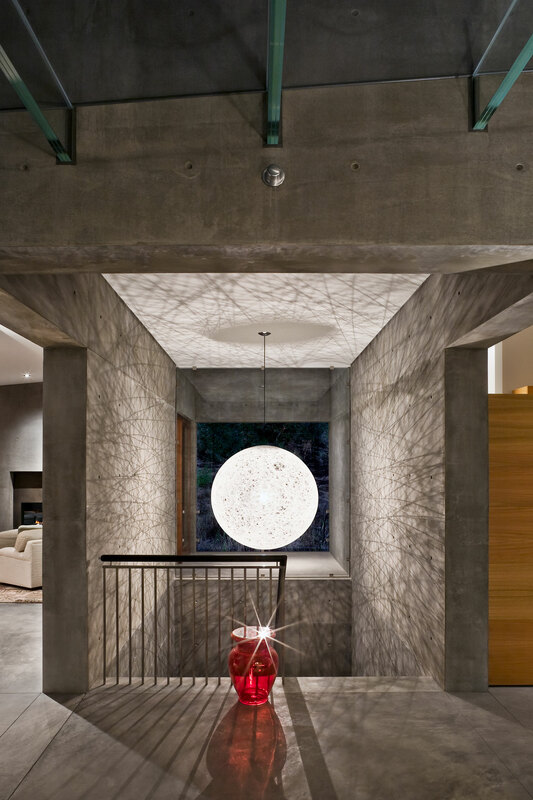 Interior floors are lightweight concrete. 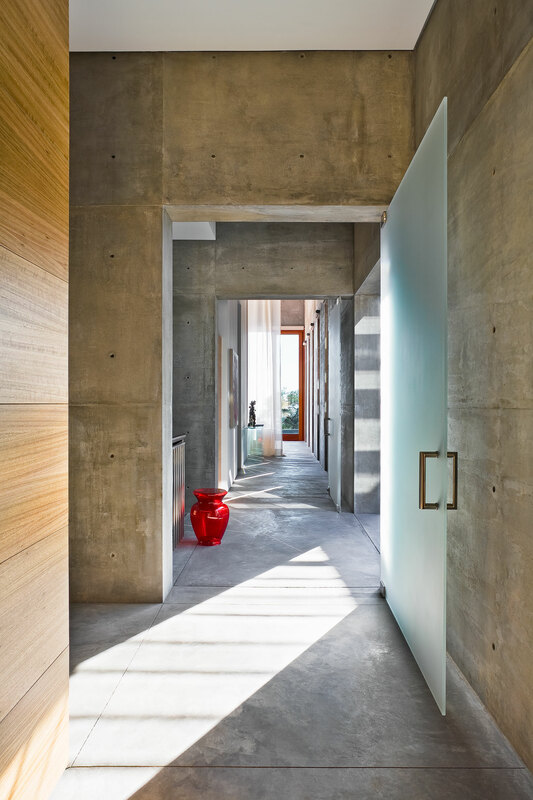 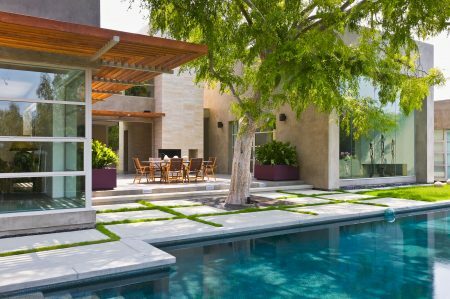 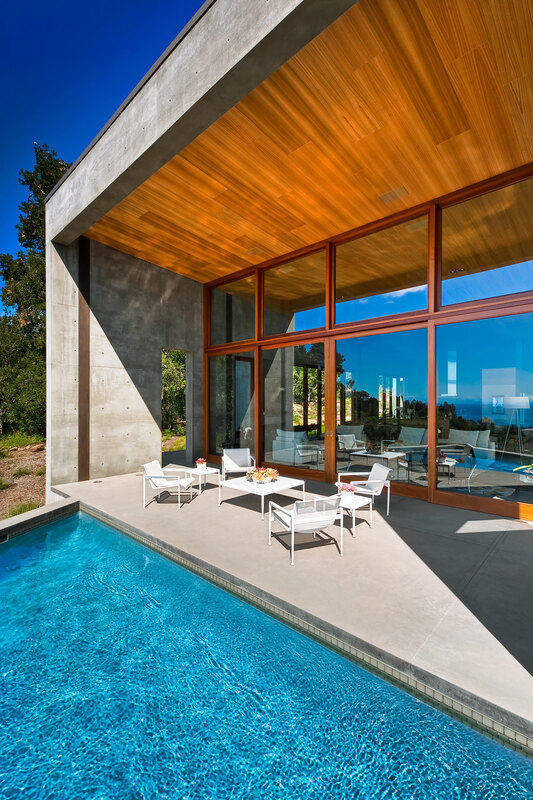 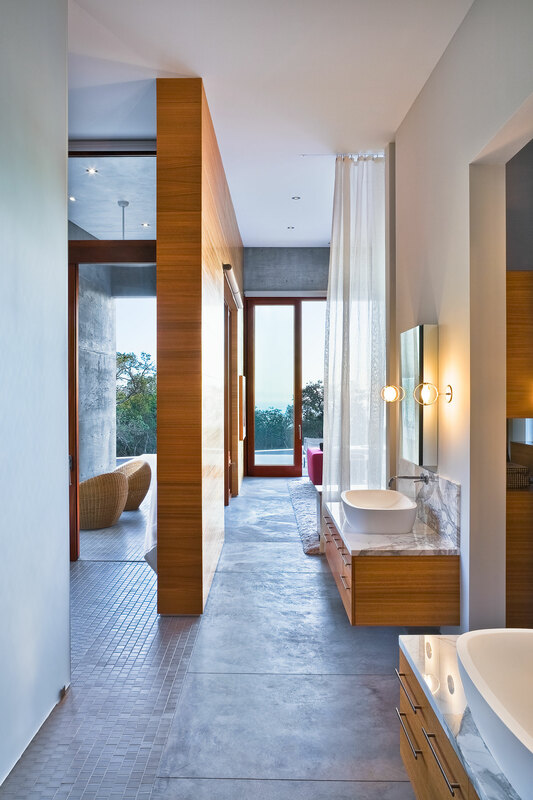 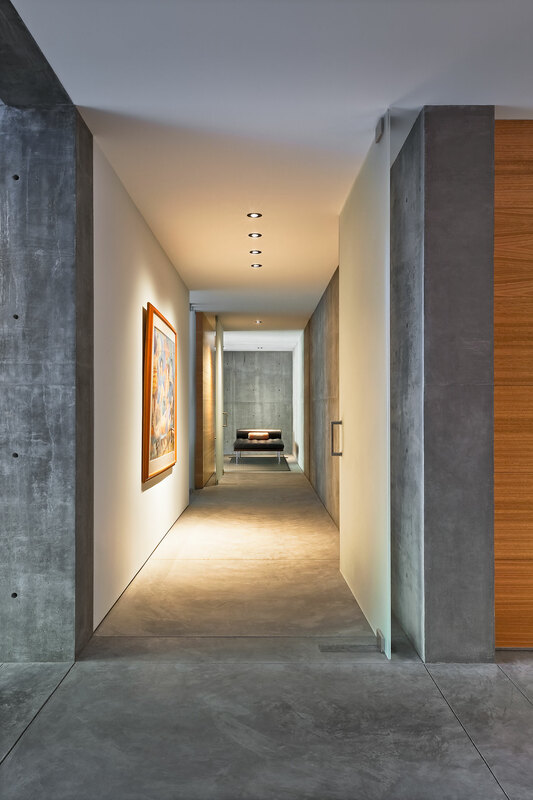 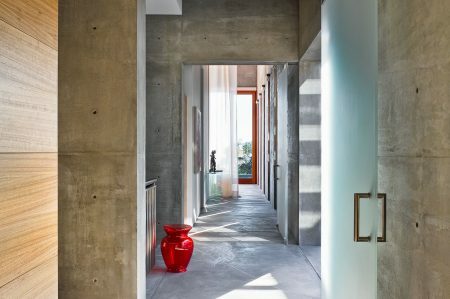 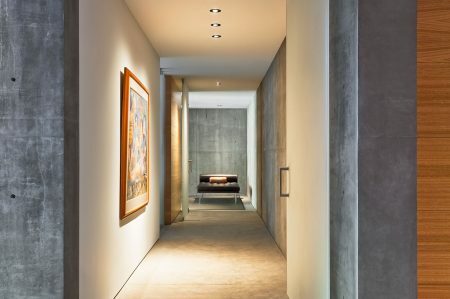 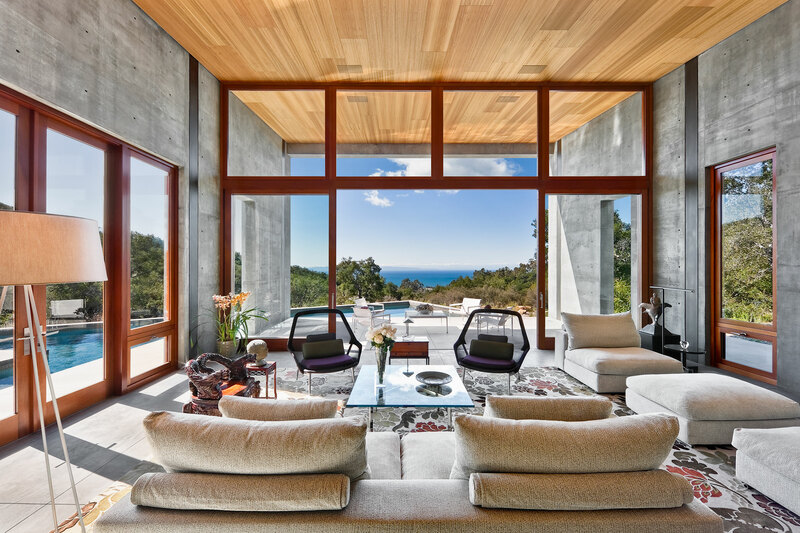 The exposed concrete is warmed with doors and windows of natural mahogany and interior millwork and ceilings of natural eucalyptus.